A great Halloween party depends on the right spooky ambience. Having some shrunken heads in strategic locations is an easy, fun way to get your guests in the right (frightened) frame of mind, and they require items you can easily find in your kitchen or at the local grocery store. Thoroughly wash your apples, then peel and core them. Next, combine the lemon juice and salt in the bowl and set aside. 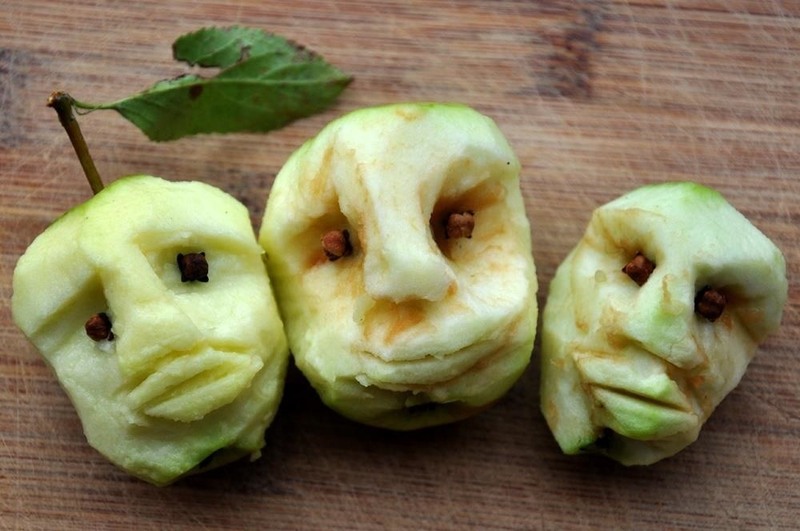 Take your pencil or marker to sketch a face on your apple, then use your vegetable peeler (great for nostrils and eyes) and knife to carve it. If you're good with your hands and able to visually project the image, you can skip the sketching. Dunk the carved apple in the lemon juice and salt mixture for at least 30 seconds, ensuring that all of it is covered. After 30 seconds, remove them from the lemon juice and blot dry. 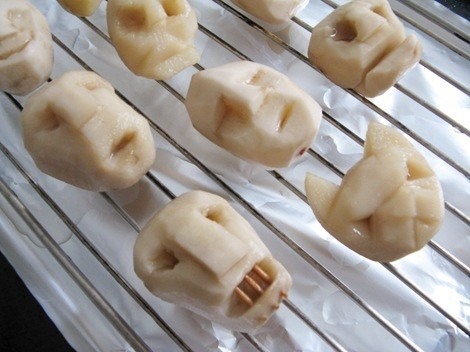 Place the carved apples somewhere warm and dry so they can thoroughly wither. Remember, if there's any humidity, they'll just rot. I'd suggest the top of the heater (perhaps with a sheet of aluminum foil underneath) or over your oven (or even inside it). Check out a quick video tutorial here or watch it below. Parade Magazine suggests using peppercorns for eyes, while Our Best Bites used rice grains for teeth and cloves for eyes. 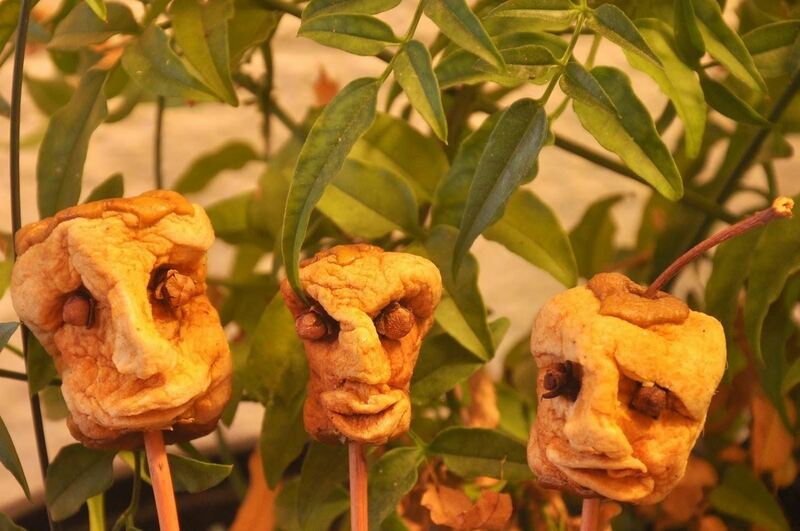 Martha Stewart suggests displaying the shrunken heads in bunches in a vase. 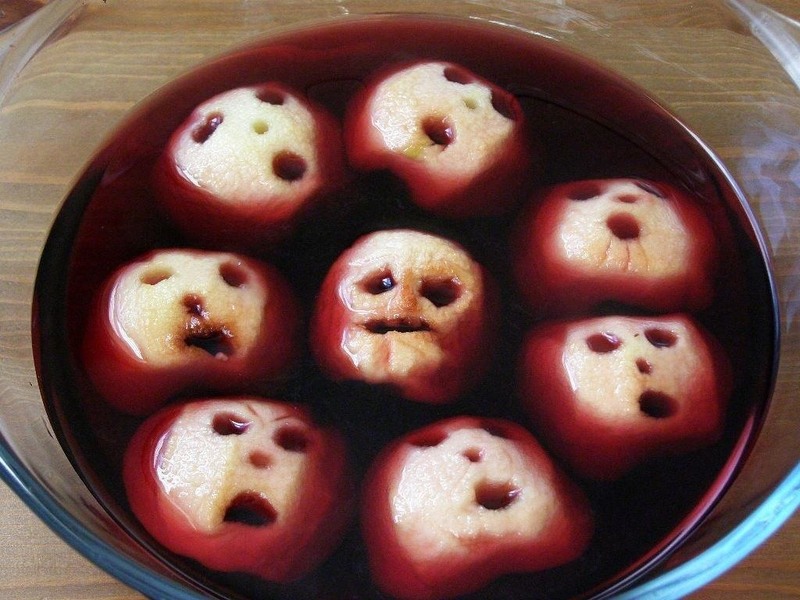 Allison DiNatale, a Martha Stewart viewer, came up with this homemade cider to serve the shrunken heads. These guys also make a great addition to a party punch, whether you include alcohol or not—though isn't everything better with wine? Check out the ingredients you'll need, along with other spooky concoctions, in our guide here. 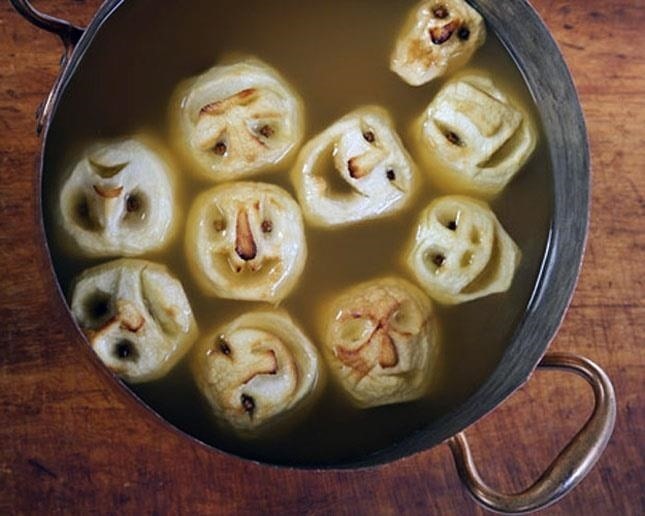 You can also carve shrunken heads out of potatoes (Chez Larsson points out that the potato versions tends to look like the Easter Island stone statues) using the same apple-carving method. This version will need to be dried in the oven for a few hours on low temperatures, however, since potatoes are so much denser than apples. If you need even more Halloween head-based fun, learn how to do pull off the decapitated head in a jar and make a cheap corpse head to frighten your guests. And as always, be sure to share your own Halloween Food Hacks with us in the comments below as well as on our Facebook page.